SHARE YOUR WORK WITH YOUR ENTIRE AUDIENCE! One-stop solution for all your language services needs. 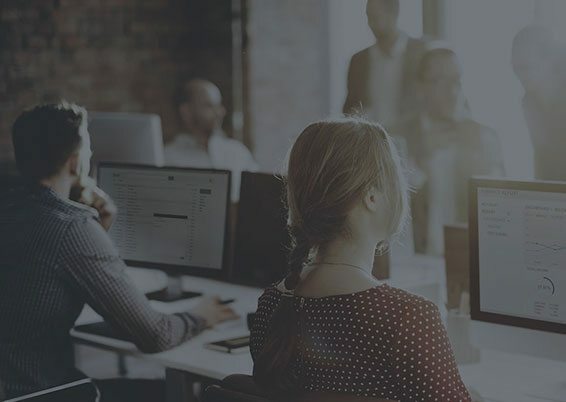 Our team of language services experts is here to make sure your projects are delivered on time and on budget—every time. 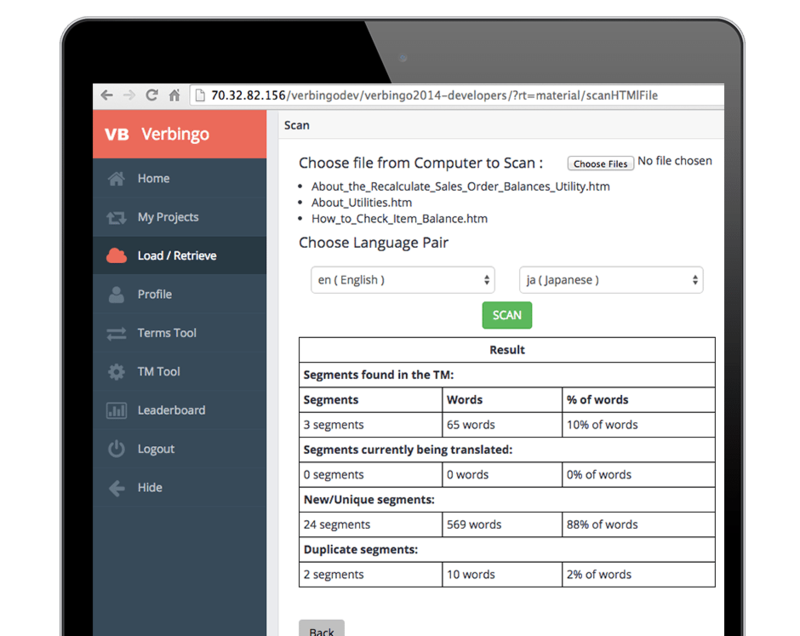 With our worldwide team of expert translators, innovative translation memory service (Verbingo TMS), and dedicated support staff, Verbatim provides a full range of services to get you started on your next project. Low rates. Fast turnaround. Amazingly accurate. 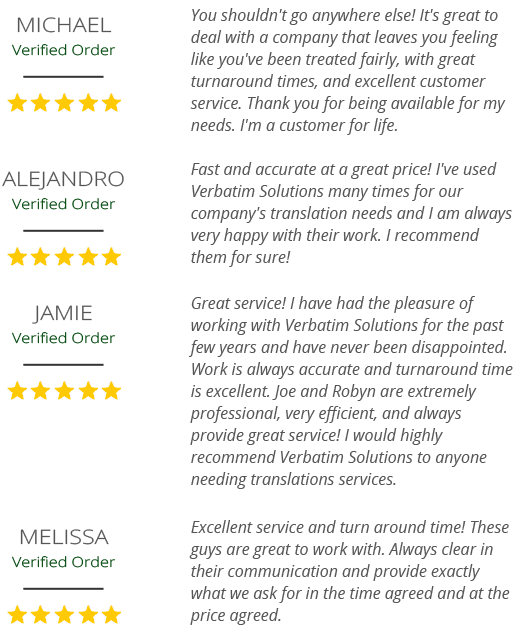 Join our growing list of happy customers who experience complete satisfaction with Verbatim’s expert transcription services. English-to-English, French-to-German, any language-to-any language actually. We have you covered. 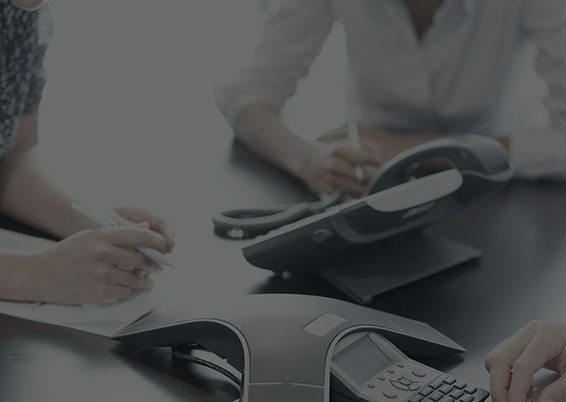 We understand that your clients and team members are often in different time zones. Our team of expert interpreters is available 24/7 so you can reach your global audience when and in the language you need to. 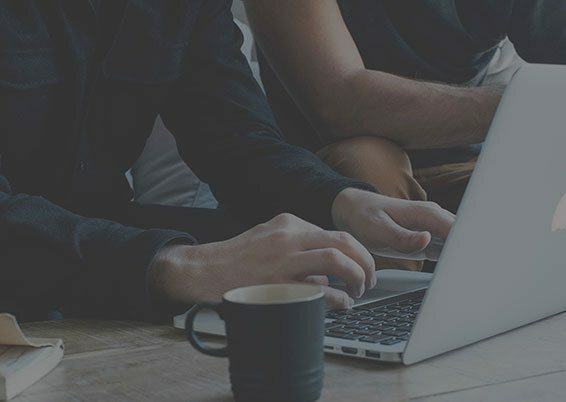 We have used Verbatim Solutions exclusively since 2010, they are fast, professional, and provide high quality accurate translations. I can’t recommend them enough. We know what it’s like to need support. Our philosophy is to treat you as we would like to be treated. 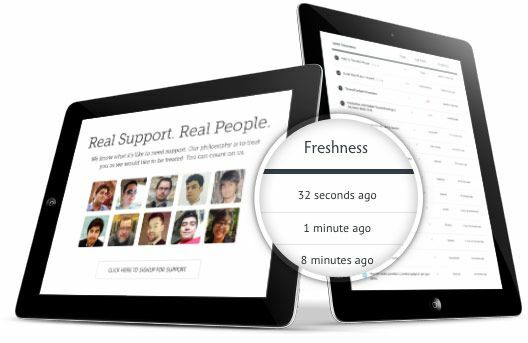 With responsive support staff, dedicated project managers, and unparalleled attention to detail, it’s no wonder that a lot of our reviews are about our amazing support. When your project depends on accuracy, you can depend on Verbatim. Fill out the form to get an instant quote today. Accepted file types: jpg, gif, png, doc, docx, mpg, mpeg, mp3, odt, odp, ods, pdf, ppt, pptx, txt, xls, xlsx, psd, ai, indd, csv.